We are open 7 days a week, breakfast is served from 9am every morning, lunch is Monday-Friday 12-3 with our full Gastro Style menu served from 3 and all day Saturday and Sunday. 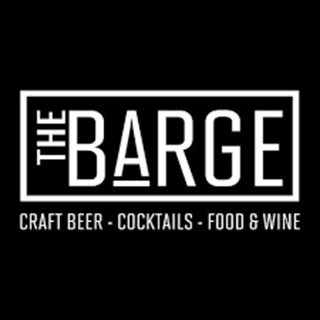 Perfectly situated on the banks of the famous grand canal, overlooking the lock gates at Charlemont Bridge, the Barge is something of an institution and favorite with Dubliners who for generations have enjoyed a great pint, good food and above all great craic on the waterfront. Very nice bartenders and musicians. Great food and music, very good atmosphere. The Barge is a lovely pub, decent food, love music - all together a recommendation! We really liked the pub. We enjoyed the moment there. Good Atmosphere, Music and Service. Staff were great, very friendly and welcoming. false Advertisement on Mother’s Day as Michael buble was suppose to play but didn’t. I booked for Mother's Day dinner, an event with music, Michael Buble Songbook show, but there was no singer. No one has apologized. Can't speak highly enough of Michelle and her team. We were so well looked after and everyone had a great time. Really impressed with the area we were given. The food was really nice and great value. Will definitely be back and wouldn't hesitate booking for a group again. Nice food, friendly staff. Clearly a pub first and a restaurant second and we had to go to the bar to ask for the bill as it never came when it was asked for. But that wasn't a big deal and everything else was enjoyable. Awesome place. Great beers and live music. Good food, nice staff and really nice environment. It’s a must go. Booked a table of 8 for a stag do and to watch the Rugby and the service was excellent. Food was amazing and it was the perfect venue for us, thank you very much. Michelle is a credit to your place. Very good place to have good time with Friends! Truly wonderful day out, thank you Michelle and team, for amazing service, great food and drink. Made very special by the crowd in the Barge and of course the England team winning, which to be honest we did not expect. Thank you all for showing us so much friendship, it is really appretiated. 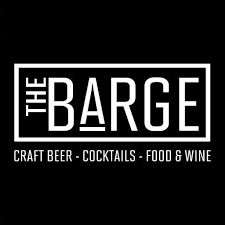 We had an absolutely amazing time in the Barge, I would absolutely come back for anything I organise in future. The staff were so helpful and friendly, the food was amazing, and the atmosphere was second to none. The people who attended the event are still talking about the place! Have to say -it was wonderful to get such great genuine service in a large busy pub. Michelle set our table up and provide exemplary service to our group. The students were delighted to be treated so well. Thank you for making their homecoming and end of year celebrations  so memorable. We had our Christmas party last night and what a great venue. The food was excellent and the staff were exceptional. As there was a large crowd of us and food was served with great service and everyone said it was excellent. There was a band playing the the first half of the evening and a DJ for the second and it was perfect as it was just the right level as you could chat at ease and enjoy the music at the same time. Some times a pub band can be very loud and you can’t hear each other. Not a problem in the barge it was a prefect mix. I’d like to thank Michelle and the team for everything. And we will be back next year (if you’ll have us ) and a happy Christmas too all the staff. I guess my only real disappointment was the band that was playing more traditional Irish music. I think they played for too long and from what I could tell kind of clear the place out! They were not bad, just not the type of music you want for a party or getting into the party mood. Each to their own I suppose. I'm only delighted that I chose the barge for my 30th,the atmosphere was amazing,the music was fantastic and staff were great,everyone thoroughly enjoyed themselves and had a brilliant night! I booked a table there for my Christmas party at work and everybody loved the spot! Great night! Great service! I definitely recommend it! !